Tealight holder Riccio, 3 branches sp./lacq. Tealight holder Riccio, 2 branches sp./lacq. Circular double-walled stainless steel tea-warmer holder with 6 holders. 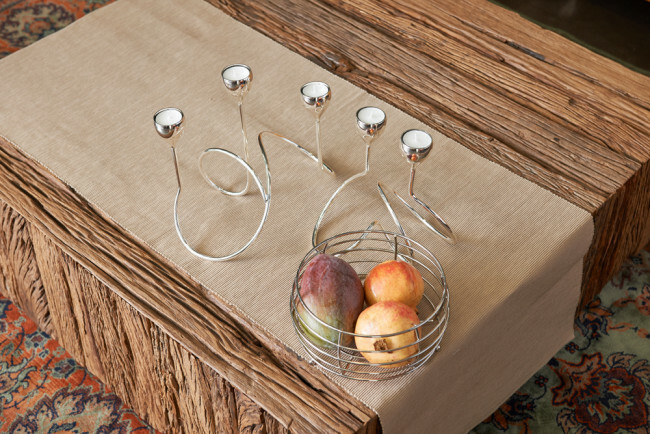 The playful scroll design of the Riccio candleholder suits both modern and classic interiors. Available in 2 and 3 tea light variants. 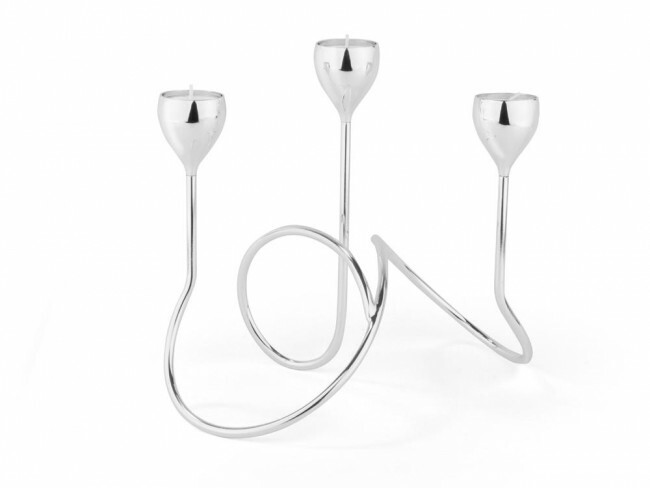 Candleholder Ricco is silver plated and lacquered. You're reviewing: Tealight holder Riccio, 3 branches sp./lacq.